With over 5 million Americans living with Alzheimer’s Disease, one of them might be your neighbor. Recently, while visiting with a friend she mentioned her neighbor was losing their memory. Now, she was doing her best to keep an eye out for them. It began when the neighbor forgot where they lived and was wandering the neighborhood. My friend the good Samaritan stepped in to help. Since then been doing her best to help the neighbor stay safe. Concerned for the neighbor’s welfare she contacted Adult Protective Services (APS). The service came out and the neighbor declined their help. The conversation prompted me to contact professionals in Alzheimer’s Disease. Here are a few tips I learned from my phone calls. According to the Alzheimer’s Association and Alzheimer’s San Diego as a neighbor, you can take the following action. Call Adult Protective Services (APS) is a free social services program provided by state and or local governments. To find your local APS program Google Adults Protective Service + your zip code. The service is available 7 days a week 24 hours. You can make an anonymous report. In addition, you can make a report multiple times if you believe the individual may be in danger. Call 911. Firefighters and law enforcement are mandatory reporters. If they observe an individual exhibits signs of abuse, neglect or exploitation they will take action which may include hospitalization for further assessment. Local resources. In some communities, police department volunteers offer free wellness checks. The volunteers stop by to stay hello and make sure the individual is safe. 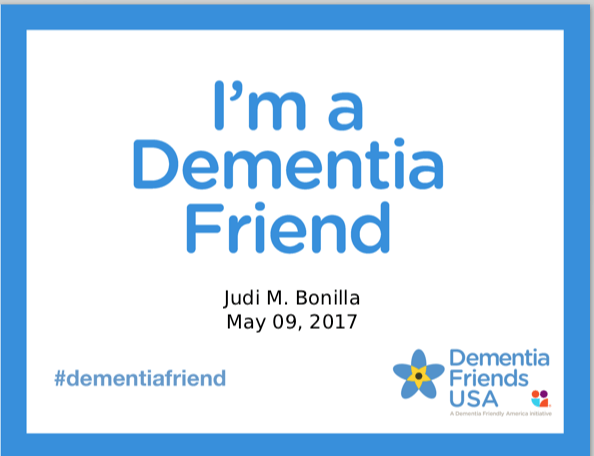 Last May in my research I came across an organization Dementia Friends USA. The organization focuses on providing free training to make America dementia friendly. When I began researching brain health over six years ago I realized the real work is bringing education to communities. Dementia Friends does just that. With on-demand tutorials, they provide individuals with knowledge about dementia. Currently, there are only 13,324 Dementia Friends in the US with over 5 million of our neighbors living with dementia I encourage you to become a friend. I’m an author, aging expert, and gerontologist dedicated to educating, empowering, and inspiring Americans to age well. In order to influence change, I connect to multigenerational audiences through social media. In addition, I work with start-ups, agencies, and small businesses to enhance service delivery to older adults. 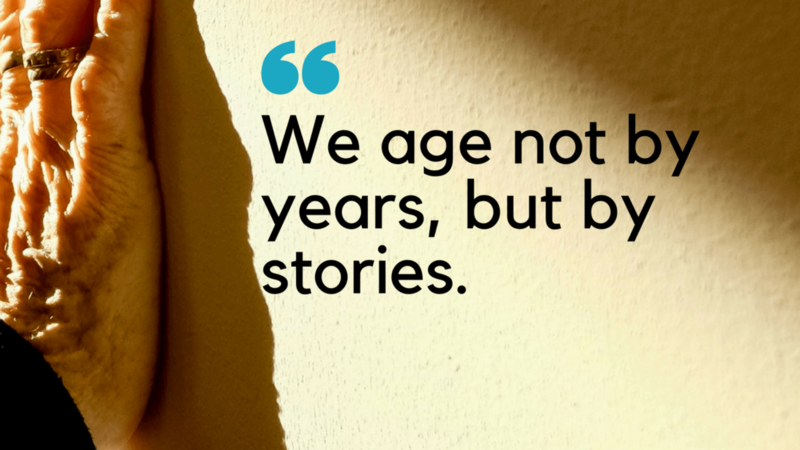 As a valued resource for topics about aging I curate information about aging on my blog, podcast, and an Alexa Skill.